The end of October is near and I wanted to do a quick post highlighting some fabulous things I’ve had the opportunity to try. 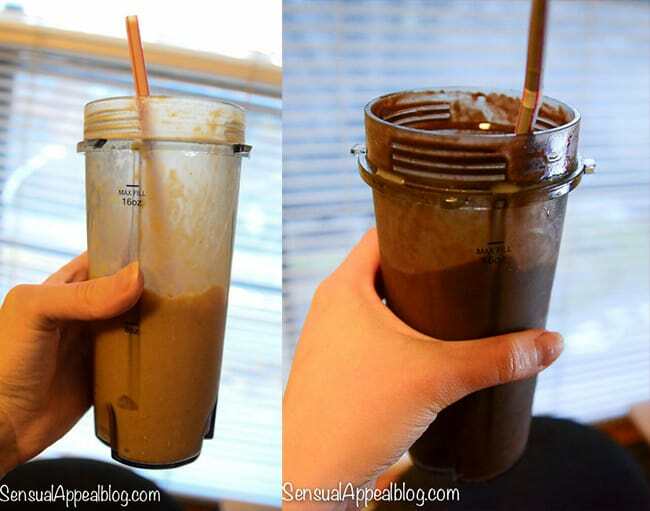 This review is wayy overdue since I’ve had this blender for a few weeks now. For some odd reason I didn’t actually use it until today! I know, crazy. I haven’t been in the smoothie mood. But I have marked a bunch of awesome recipes that I can use this lovely blender for. Ever since I met it in person at the HLS in September, I fell in love. The Ninja Ultima Blender is just fabulous. It has all these crazy blades that are super sharp that it can be used as a food processor, blender, and juicer (but without losing the fiber!) It’s too awesome AND it’s inexpensive! I loved the Autumn Latte Frappe! I also made a chocolate version with protein powder. Yum! Stay tuned for many more blender recipes of my own in the near future! 🙂 Tehe. 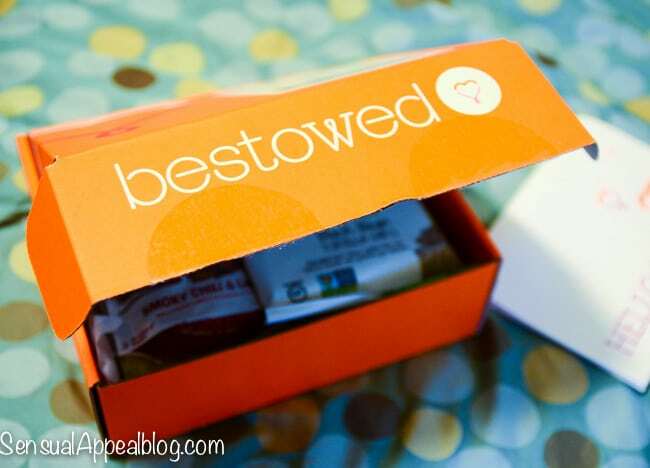 Starting the things off with a very special non-GMO Bestowed box! To celebrate October as the non-GMO month, every single thing in the box had all non-GMO ingredients! I love it! 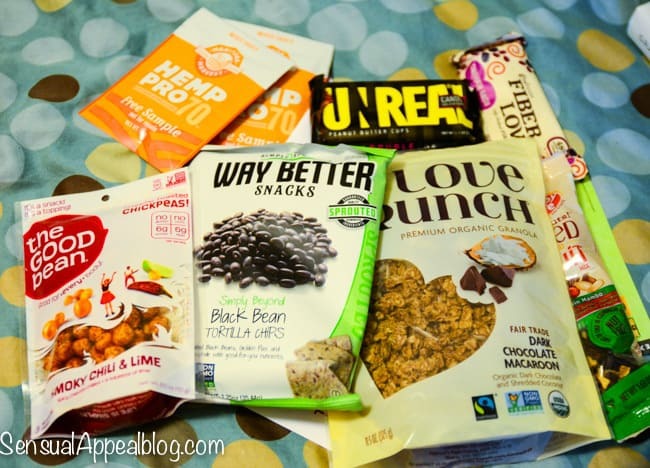 I really loved the Unreal PB Cups and the Love Crunch granola – simply delicious. I was not a big fan of the Chickpeas though. You can get this box as long as you sign up before the end of October. If not, then enjoy the new month’s snacks! Who doesn’t love surprises 😉 Go check it out. 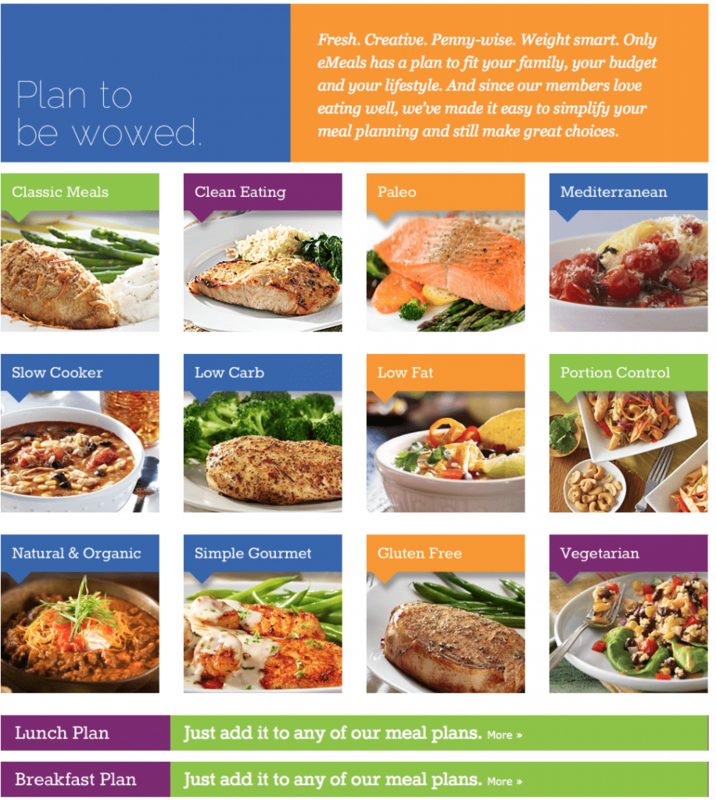 The other thing I really like about the eMeals meal planning service is that there are a ton of options to choose from and you don’t have to stick to one once you choose it. They have a ton of variety and they give you grocery lists each week to keep things as easy as possible. I’m all for easy. All in all, it’s a great service that I think is totally worth checking out. I’ve loved their Slow Cooker and Low Carb meal plans so far. Ummm… no need to hide that I love nut butters. But who doesn’t? Especially when they come in such fabulous flavors! As you might have seen in my recent Chocolate Porter Waffles recipe (PS. they are amazing, go make them ASAP! ), I used the Dark Chocolate Dreams Peanut Butter from Peanut Butter & Co as the topping and it was deliciously magnificent. I also got two other varieties. I still haven’t tried the Might Maple one but I just tried the Cinnamon Raisin Swirl and it’s very good, it’s very light and a bit fluffy which is interesting for a peanut butter texture but I’m a fan of it for sure! I liked it with some vanilla frozen yogurt. I bet their White Chocolate Wonderful is amazing too. That’s all for today, kids. Do you try to use non-GMO products? What’s your favorite peanut butter brand? I LOVE that I am not the only girl who makes out with her blender, LMFAO!!!!! I am obsessed with my Kitchen Aid. OBSESSED!!! I have a Ninja Blender too and I LOVE it! It works so wonderful!! 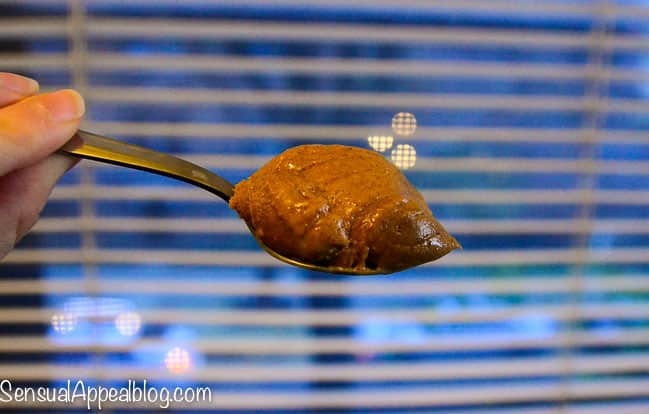 I am like in love with the Might Maple PB from Peanut Butter and Co! I love smearing it on apples and even pretzels. I am seriously OBSESSED with pb&co!! White chocolate wonderful and cinnamon raisin swirl are my favs! Those all look like great products! I use my VITAMIX and kitchenaid food processor for everything. I couldn’t live without them! Yes, I almost always avoid gmo products. The brand of peanut butter I use is Santa Cruz organic creamy. No additives, just peanuts and trace of salt. It’s so delish. I love my Braun immersion blender but am jealous of your ninja! As for non-GMO I don’t go out of my way…and pb? I know it’s terrible but I love classic Jif. I love everything about Peanut Butter & Co, they are my favorite hands down! 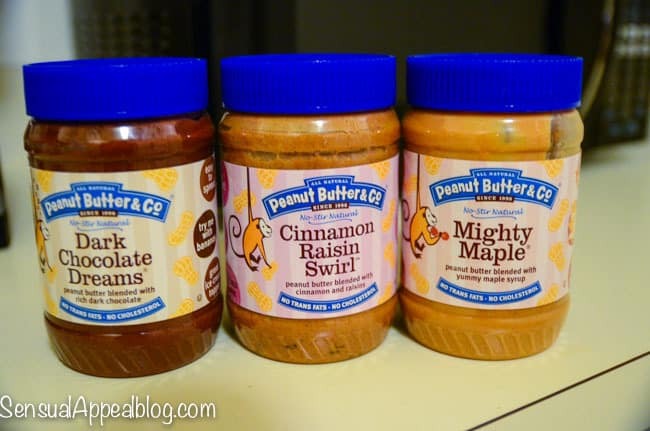 I need to find those Unreal PB cups! Ever since HLS, I’ve been obsessed with Peanut Butter & Co. yummmm. Oh yeah they are so good!